Last month I raved about the latest Asics advert and had a bit of a rant about Sweaty Betty. This time as I am feeling really, really chirpy after successfully defending my PhD thesis last Thursday, there will be more raves than rants. I am enjoying my running again which also helps. My first rave goes to two people who had a large influence on the outcome of my PhD Viva; my PhD supervisor Geoff and Liz Goodchild. I have never met Liz and unfortunately probably never will, but thanks for the motivational words kick up the arse I needed on Thursday morning, the contents of your email really helped! You can sign up for regular motivational emails from Liz. My first and only minor rant (I said that I was feeling quite chirpy at the moment) goes to the author of an article I spotted in the London Evening Standard. I’m not sure what the author of the article was aiming to achieve, but I’m not convinced that we need running “rules”. I just think runners need to be aware of their surroundings and to be mindful of other pedestrians and runners. Simple?! I do, however, actually agree with one of the comments. After witnessing a group of runners sprinting alongside Marylebone High Street and forcing pedestrians to take evasive action, I don’t think that the pavements of central London should be used for what appeared to be a fartlek session. Although I know that running in the centre of London can be a PITA, don’t force pedestrians out of the way. My second rave goes to ultra-runner Robbie Britton. Thank-you Robbie for having the balls as a professional athlete to speak out against Nike. Congratulations on your bronze medal winning performance in the IAU 24 Hour ultra-running World and European Championships! Absolutely bloody awesome! I have personally vowed to avoid buying any Nike running gear in the future. We don’t have a Nike store in Birmingham (apparently not enough people run in Birmingham to justify a Nike store!?). Nike don’t organise free training events in Birmingham, therefore, my Nike boycott will be very, very easy. My final rave goes to TK Maxx. Although I have more or less completed my PhD, I am still skint so have to shop on a minimal budget. 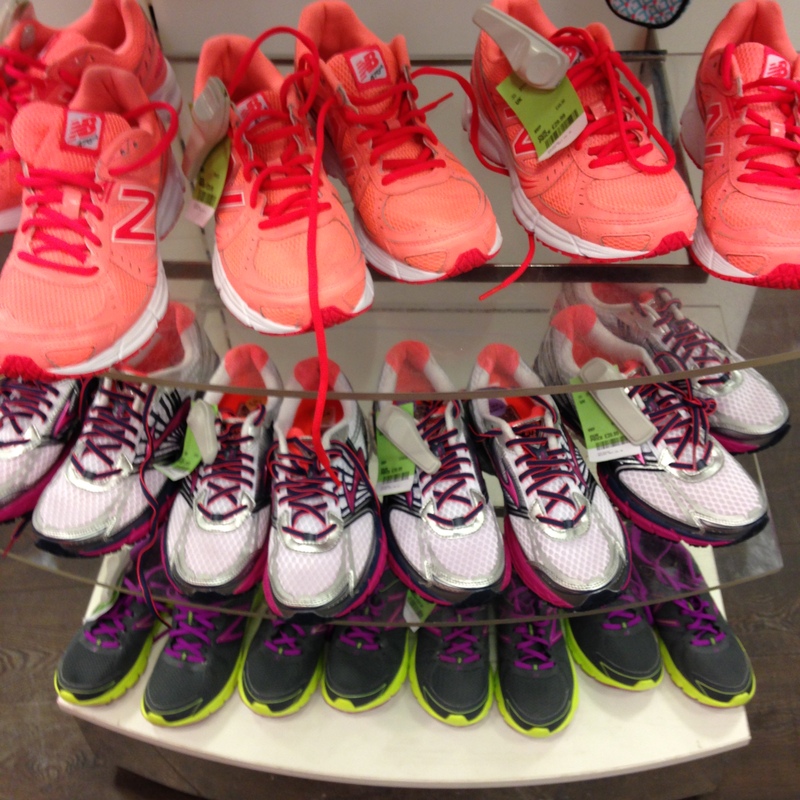 The selection of running/workout gear and trainers in my local TK Maxx is now pretty amazing. Last night I spotted dozens of pairs of Brooks and New Balance trainers, Lorna Jane tops, several pairs of gorgeous MPG running capris and a bargainous Casall Iconic multifunctional sports bra. I paid £2 for the sports bra. Now that I am enjoying my running again and have put the majority of my PhD stresses behind me, the raves should continue to outnumber the rants. So far this year my focus has been on my PhD thesis and my Viva. If I wasn’t studying 24/7 I felt guilty. As I have been sat on my arse reading through my thesis, analysing data and writing academic papers, I have felt quite envious of other people having fun. Now it’s my turn to run, to blog and to have more of a life. It’s also time for me to achieve some of my 2015 running targets.